This is the time of year to welcome two nutrition powerhouses to your shopping list, even though they may not be locally grown. 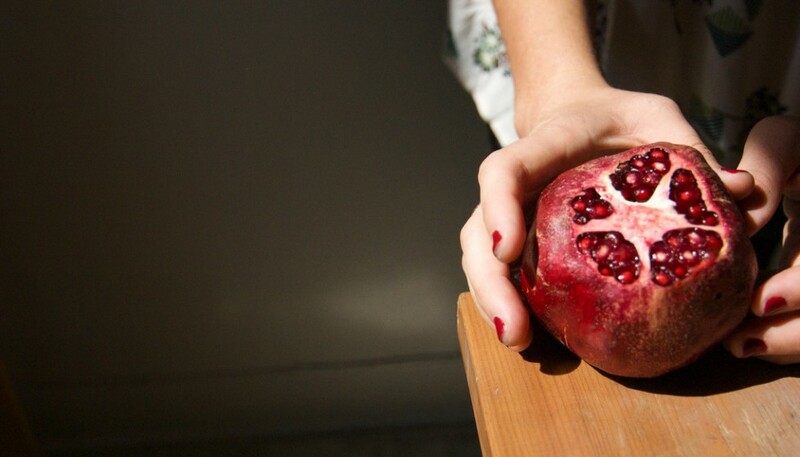 Pomegranates are available at most stores everywhere from now until late January. Grapefruits are on their way soon! Inside each pomegranate there are between 500 and 800 small seeds known as arils. These are among the richest sources of phytonutrients in the entire fruit world. They contain 3 different families of beneficial molecules: anthocyannins (blueberries), ellagitannins (raspberries), and poyphenols (green tea). Few other foods on this planet have this array of anti-cancer, anti-heart disease, and anti-aging nutrients, not to mention its vitamin C, potassium, and fiber content. This unique combination has an amazing synergistic effect when it comes to the ways in which pomegranates outperform other more well-known “super foods”. Pomegranates have been shown to neutralize significantly more free radicals, reduce more inflammation, and to protect more healthy cells than the acai, the concord grape, or the wild blueberry. As we have always believed, the orchestra is greater than the sum of the individual musicians and the pomegranate exemplifies this as much or more than any food I can think of. 1. Pomegranates have a uniqueability to increase the cholesterol scavenging properties of our high density lipoproteins (HDLs). Every HDL molecule (the body’s garbage trucks for cholesterol, bringing it back to the liver for recycling) has a specific enzyme on its surface that allows it to break up plaque to access the cholesterol that it wants to pick up. The enzyme paraoxanase is significantly increased after consuming pomegranates and is more active. This is the primary mechanism that explains why pomegranate juice has been shown to accelerate plaque removal or reversal in human and animal models. 2. The mixture of phytonutrients in pomegranates have been shown to prevent the deterioration of cartilage in individuals with osteoarthritis. The anti-inflammatory effects are so great that they can even overcome the enormous amount present in injured joints that so often breaks down the soft tissues within these areas. 3. With the highest ellagic acid content of any food, pomegranates have a significant capacity to slow or stop the angiogenesis process required to feed tumors. While preliminary research has only looked at the rodent model, the mechanism generally holds up in all mammalian species as angiogenesis is a common thread that feeds tumors the blood flow necessary for growth. There is a reason that these fruits were so revered by Hippocrates (truly the father of looking at food as medicine) and why they were buried with Egyptian and Babylonian Kings. So don’t just limit yourself to the handful of arils that are frequently sprinkled on salads or a dessert, have a pomegranate a day! They will give you more than most foods you can think of and, even better, they taste phenomenal.